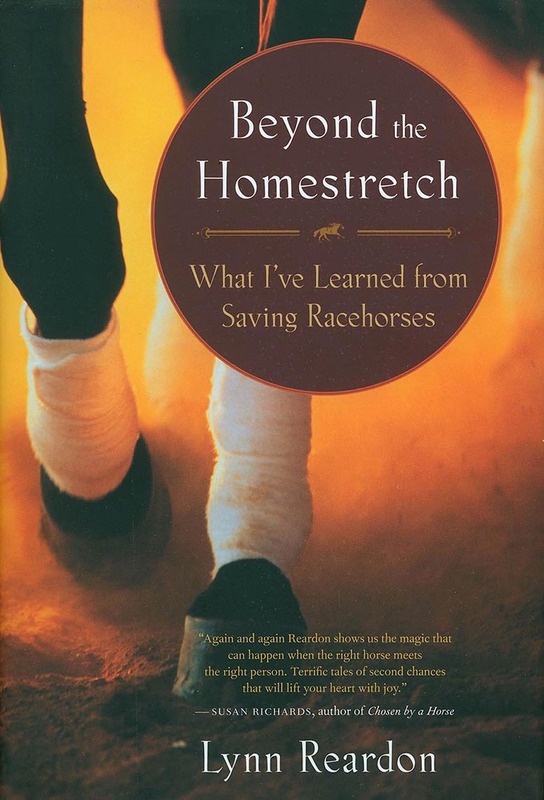 In Beyond the Homestretch, Lynn Reardon shares an unlikely story. In 2002, she quit her Washington DC-area office job and moved to rural Texas to open the racehorse adoption ranch LOPE (LoneStar Outreach to Place Ex-Racers). Since then, LOPE has helped transition more than 725 thoroughbreds into new homes. Though now the director of this high-profile organization, Reardon didn't learn to ride until she was an adult. Here she presents a vivid inside look into the world of horse racing, complete with colorful horses, jockeys, trainers, and gallop girls, depicting the insights horses can offer when we reevaluate our relationship with them. In this riveting account, Reardon encounters dozens of unruly racehorses, all with special needs, unusual histories, and distinct personalities. As she fumbles to help them find new careers, they return the favor by becoming her most memorable mentors in horsemanship and life philosophy. Horses such as Tawakoni, the son of a Kentucky Derby winner, and Endofthestorm, the speedy bay who required an emergency tracheotomy, give Reardon an apprenticeship in facing fear and finding a new life. Reardon may have saved these horses' lives, but she points out that they saved hers as well. She takes readers for a thrilling ride filled with fiery racehorses, offbeat horse people, colorful Texas culture clashes, veterinary melodramas, and surprising lessons. "To me, racehorses are winners even after their racing careers end. They have so much heart, athleticism, and intelligence - all they need is a chance to find that second career after the finish line. Of course, they could use a little help making that transition. Because it can be hard to change careers at first. I used to have an accounting career, working in a Washington, DC, cubicle. Pale, stressed, and full of suburban angst, I was the least likely candidate to run a racehorse adoption ranch in Texas. Back then, horses were just my outlet, my weekend respite from spreadsheets. Only learning to ride as an adult, I took group horseback-riding lessons and strained to master the most basic equestrian skills. But even then, I was drawn to racehorses - several resided at that stable, in training to become show jumpers and polo mounts. They charmed and inspired me, with their intelligent faces, beautiful conformation, and dark reputations as risky rides. From childhood, I had secretly wanted to be a horse trainer. But I was a horse geek, a real goober around the barn. The instructors and trainers hid their smiles at my barn gaffes and painfully anxious riding style. Every trainer at the barn had grown up with horses, usually turning professional by their teens, a formidable resume of equine mastery. I would never fit that mold - how could someone like me be a trainer? It seemed like an impossible, silly dream, plausible only in a Disney film. I worked hard to improve my skills anyway: exercising polo ponies for free, trading barn work for lessons, teaching at a horse summer camp, anything to learn more on my modest budget. Slowly, my horse activities morphed into a vocation, a calling I could no longer ignore, however ridiculous it seemed to others - and often even to me. Finally, I took the plunge, moved halfway across the country, and opened the racehorse adoption program." How many of us dream of doing this? Well, Lynn actually did it, and her stories are touching, inspiring, and motivational. The book says, if you want to make a difference in horses' lives, you can. If you need to learn more to do it - well, what are you waiting for? I've read the book and it has a really human perspective, devoid of ego, that I rarely see in horse books. Lynn doesn't think she's a magikal horse whisperer or the Mother Theresa of horse rescue. She admits to her mistakes along with her successes. She rides her own rescues, puts on benefit horseshows and other events, and keeps her numbers controllable so that every horse gets everything they need.